For as long as there have been commercial airliners hauling passengers to Grandma's house, there have been members of that flight's crew managing the cabin, serving meals and refreshments and soothing the jitters of scared flyers. Long ago when big airliners still had propellers, they were called "Stewardesses" or even the less respectful "Trolley Dollies", neither of which stuck, thankfully. Today, the women and men in that profession are called Flight Attendants, or FAs for short. We see them on every trip to the airport, often waiting for their next leg to begin, often looking quite bored. As I watch them moving through endless airports towing their well-worn suitcases, I often wonder just what life as an FA is like. World of Flying: What the schedule of an FA like? 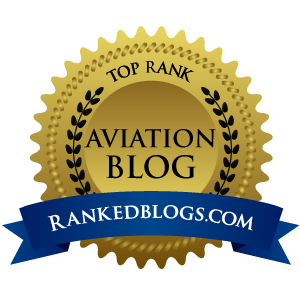 TheFlyingPinto: An FAs schedule varies tremendously, depending on what airline you fly with, how much seniority you have and what your preferences are. Most FAs start out on "reserve" and generally have 10-12 days off per month while being on call 24 hours per day. Once off reserve, you are known as a line holder. Once a month, FAs go through a bid packet that has schedules and after the FAs bid, lines are awarded in seniority order. The more junior lines are less productive, meaning more legs per day. Flight Attendants are paid for flight hours so every time we touch down in a day, the more we are "off" the clock. For example, if you are based in New York and your trip is a turn to San Francisco, your flight time is 11 hours of pay for 13 hours of work. On many junior FA trips, would be 5-6 legs per day and you end up working 14 hours and getting paid for 6, and of course the chance for weather, ATC, or mechanical delays increases with each leg. WoF: How hard it is to climb the career ladder as an FA? TFP: I don't think it is too difficult to climb the career ladder as a FA. We do have supervisory positions but at my airline they are usually filled by junior people who don't want to sit reserve. I think most people become FAs because of the flexibility of the job. As a supervisor you work 5 days a week, 40 hours a week. As a FA you create your own schedule and work as much or as little as you want. My airline pays a couple dollars more per hour to international FAs, language speakers, and lead FAs. Domestically, when you bid for your schedule, you also bid for your position. We also have International Service Managers who are interviewed for the position, specially trained and paid a 20% over ride. The pecking order is seniority. Everything at an airline is based on seniority, pay, schedules, hotel rooms, and non-reving (space available travel). WoF: How much training goes into being an FA? TFP: Training is FAA mandated and usually runs about 4-6 weeks depending on the airline. FA Candidates (FACs) learn about the airlines fleet, how to evacuate an airplane in an emergency, what to do in a ditching, how to handle a medical emergency, and yes, how to handle unruly passengers. I went through training prior to 9/11, so the way we were taught to deal with highjackers was to become "human" to them. Female FAs were instructed to "talk" to the highjackers, let them see us as human beings by pulling out pictures of our kids etc. We were actually told to have pictures of kids in our bag whether we had children or not. I can't give too much detail on our updated security training but I will say that method went out the window after 9/11, and now we have an option to go through a training program with The Federal Air Marshals. Our evacuation training is pretty intense and a lot of FA candidates don't make it through this portion of training. I think this part of the training is where the term "Barbie Boot Camp" came from. FACs have to go through a mock scenario and evacuate an airplane full of people (other classmates) You have two chances to get it right but it must be 100%. If you fail the second drill you are dismissed from training. We started with 56 people in my class and graduated with 43. FAs are also highly trained in how to handle medical emergencies. I wouldn't recommend getting sick on an aircraft but if you do FAs are there to help. We have oxygen, AEDs and a full medical kit that trained health care professionals can use on board. There is a service called Med link that assists any medical professionals and insures them too. WoF: What do FA's earn? TFP: An FA is paid per flight hour and an average FA flies 80-85 per month. The hourly rate is different at each airline and is contractual. Most airlines after 9/11 took big pay cuts. I am lucky at my airline we did take some concessions but our hourly rate remained the same. My airline is unique to most in the fact that we can fly as little or as much as we want. 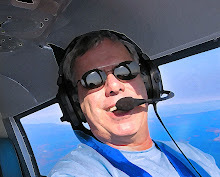 We have FAs that fly as little as one trip a month and FAs that fly 180-200 hours per month. A FA starting out at my airline makes about $20. per flight hour. An FA tops out in pay at 15 years and makes $50. per flight hour. WoF: How many male (or female?) passengers hit on you? TFP: Not as much as people think! I used to wish this were the case. Now that I'm married I'm not looking but when I was single I was looking. What was hard though was dating! Every guy I went out with thought I was being propositioned on every flight, and as a reserve I never knew where I was going or if my schedule would stay the same once it was assigned. I was accused more than once of lying when I was being tossed around by scheduling. We're not trained to deal with this...I think that the flying public thinks this happens a lot more than it really does. WoF: Tell me a funny/crazy/strange passenger story. TFP: My craziest passenger story is the time I came across a man in first class, at his seat, joining the Mile High Club....solo mission!! There he was for all to see, a paper back book in his left hand, and you know what in his right hand. As a fairly new FA, in my early twenties, I didn't know what to do! I called upon my fellow crew members but all being female, we didn't want to approach him. Luckily, it was prior to 9/11, so we called on our male FO to come out and ahhhhemmm....tell our x-rated passenger to put "it" away! And yes, security met that flight at the gate. WoF: Tell me a story about a time when you helped someone overcome fear of flying or maybe helped a child to enjoy their first flight. TFP: I see a lot of passengers who are nervous fliers. I am always willing to give a pep talk and let them know they are ok....but I love when kids are excited about flying. I get a kick out of unaccompanied minors who are veteran fliers and love traveling. My heart breaks when an unaccompanied minor doesn't have that independent streak and is scared or heartbroken leaving someone they love. I really think it depends on the child, whether or not they should fly alone. I always encourage kids to come up and meet the pilots, see the flight deck , get their photo taken with the pilots. I think I've turned a few kids on to the possibility of being a pilot. Oh, and of course they always get their plastic wings. WoF: What is the hierarchy in the plane? TFP: The heiarchy in the plane is as follows: (1) Captain, (2) First Officer, (3) Lead FA, (4) Remaining FAs in seniority order. The Captain always has final say. I have heard FAs tell passengers they can remove them from a flight for unruly behavior. Although, they will strongly influence the decision, it's the Captain that has the authority to do so, not the FA. The people that work at my airline are great, I have never seen a situation where a FA didn't follow a Captains order, but I have never seen anything unreasonable asked of a FA either. The camaraderie at my airline is exceptional, and I think it shows in our customer service. WoF: It always appears to me that FAs live out of their suitcase. Is that true? TFP: YES! I have had a suitcase attached to me since 1993! My suitcase is always half packed on the floor next to my dresser.....always! Life as a FA can be extremely lonely, especially in the early years. I missed most holidays in my twenties, and even when I had exciting trips after a while it wasn't fun by myself anymore. I am in a good place now – I have a great husband and two-year-old daughter, I fly part time, I love my hotel room one night a week, and I think because I am able to fly part time (about 10-12 days per month) it is good for my relationships. I get "me" time, and my husband and daughter get quality time together. My family also comes with me sometimes, if the destination is nice and there are seats. My daughter has flown about a dozen times and has her passport....she's ready to go! You can always see photos of her on my blog. WoF: The public perception is that many male FA's are gay. Is that true? TFP: No, definitely not. There are lots of straight male FAs. And, I may get in trouble here but here's the deal. I prefer to work with the gay male FAs as opposed to the straight male FAs. I know I am stereotyping here but, usually, gay male FAs are fun, funny, and great FAs!! Straight male FAs...ummmm....not so much. They are nice people, but just like men in the kitchen at home, they leave a mess! I can always tell when a straight male worked the galley before me!! UPDATE @ 103P ON 062209: Someone on Twitter is posting that because of the way the last question above is worded, I must somehow be saying ALL male flight attendants are gay. (1) That is not true, (2) they are reading into this question something that is just not there, and (c) for the record, I have absolutely NO PROBLEM with anyone being gay. I support gay rights 100%, so do not believe the crap being thrown around about this post on Twitter - dan.